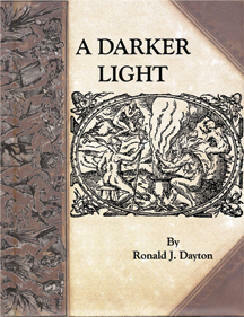 A Darker Light, is the latest book written by Ronald J. Dayton, a.k.a KOTAH. The latest book from the fertile mind of Ronald J. Dayton (a.k.a Kotah) is a collection of dark stories and poems entangled in a web of magic. Some 100 plus pages of material for the Bizarrist. Twisted, and thought provoking stuff. Dark but real, pages from the tests of life. Tales that will touch emotions, and possibly a nerve or two. Things which once heard, will not soon be forgotten. Presentations gathered over the past three years and all released in one book for the very first time. A Darker Light will be printed in soft cover 8.5" X 11" format, and is sure to please the dark side of your performers soul. Come, walk this shadow path, bathed in a darker light. In its glow you will come to know magic differently. This is the best of Dayton, at Dayton's best! The imagery of words used as tools of creative inspiration. 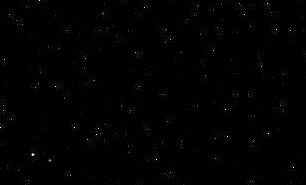 "I Just wanted to announce my most joyous experience I had when reading Brother Kotah's new book "A Darker Light. All I can say is wow! He has created works which will tug on hearts and intrigue the mind with the vivid imagery of his story telling. Among my favorites are Amanda's Last Breath, a heart jerker where meaningful words are manifested from the loss of someone special. Oh What a Tangled Web... where a spiders web is a metaphor for lies. This ends with a visual surprise! Money Does Not a Restless Spirit Soothe, Where the spirits of mistreated workers comeback and avenge an insult the company ensues upon their families. It is obvious from reading Ronald J. Dayton's creations that he is a very talented writer and cares deeply about his art. You can count me amongst his fans. May your inquisitive mind bloom and creations blossom." To Be Released in February 2005. The price on release WAS $35.00, Plus postage.